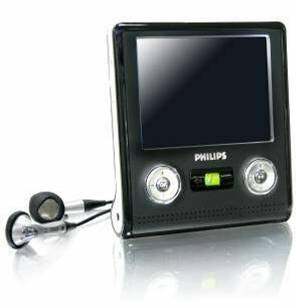 Rather than wait for the endlessly delayed iPod Video to watch videos on-the-go, you could pick up the Philips PMC7320. Not only will it play back your videos, but it can record shows from TV onto its 30GB hard drive. Since it's compatible with Microsoft's PlaysForSure, you can obtain digital media from a number of different official sources and not just those torrent sites. It'll hold up to 15,000 audio tracks (format and bit rate dependent, naturally) or 8,400 images. The trip to Grandma's never has to be tortuously slow again. The 3.5" screen is pretty decent, if not standard fare by now, for a portable unit, though we'll see how it actually looks once it's released in September for about $350.